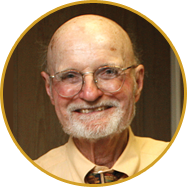 Dorchester County has been home to a number of celebrated people including governors, entertainers, and humanitarians. 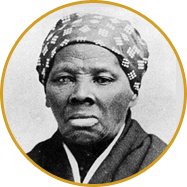 American hero Harriet Tubman was born in Dorchester County and lived here for some 27 years. Known worldwide as the “Moses of her people,” she returned to this region at least a dozen times to guide family members and others northward out of slavery and into freedom. Today you can explore the places where she and other freedom seekers lived, toiled, and made their escapes along the Underground Railroad at HarrietTubmanByway.org. 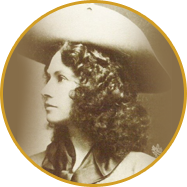 Legendary sharpshooter Annie Oakley and her husband Frank Butler built a house in Cambridge in 1912. The house was custom built for them, and Oakley used to step outside their bedroom onto the roof to shoot ducks on the Choptank River. The house still stands at 28 Bellevue Avenue, but it is privately owned. 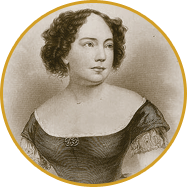 Anna Ella Carroll was a political pioneer in the 1800s. She served as a member of President Lincoln’s unofficial cabinet. Her gravestone can be found in Dorchester County at Old Trinity Church in Church Creek, Maryland. Read more about her story. Seven Maryland governors lived in Dorchester. 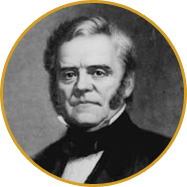 Probably the best known is Governor Thomas Holliday Hicks, who refused to call a special session of the Legislature, keeping Maryland as part of the Union during the Civil War. Learn more at the Heritage Museums & Gardens of Dorchester. Novelist John Barth was born and raised in Cambridge. His first book, The Floating Opera, was nominated for the National Book Award and was set in Cambridge. He also won the National Book award for Chimera. 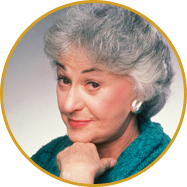 Emmy Award-winning actress Bea Arthur grew up in Cambridge and went on to fame with the TV sitcom, The Golden Girls. She was voted “wittiest girl” by her Cambridge High School classmates. 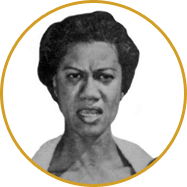 Gloria Richardson Dandridge was a leader in the civil rights movement in the 1960s. 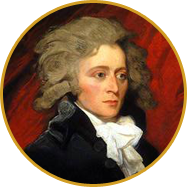 William Vans Murray, a prominent Federalist, served as George Washington’s minister to The Hague and was a U.S. Congressman.